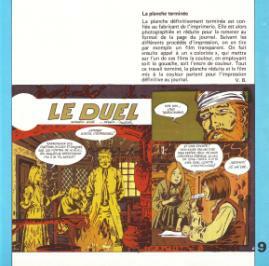 The album-publication contains two stories. But also an article on Northern Ireland, and the struggle of the Catholic inhabitants for independence. In monthly Record (year 1972-1973 is named their second edition) four chapters of CATRIONA MAC KILLIGAN were published. 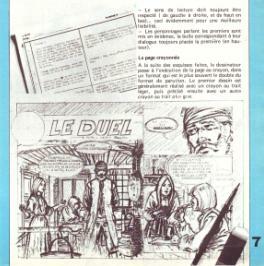 Ten years later the story TUAN MCCAIRILL was published in (A Suivre) #53. Under that title both stories were published in one album. 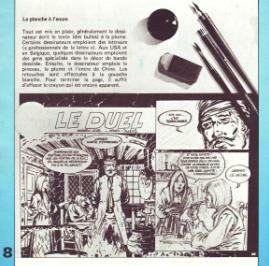 Record 11 contained a small-version supplement (Micrecord) on making comics. 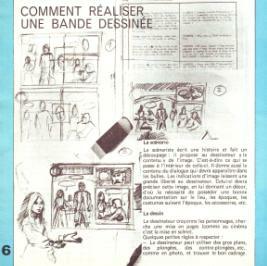 The making of the top-half of the first page of chapter III of Catriona Mac Killigan was shown. Below we see the supplement of Record 11.